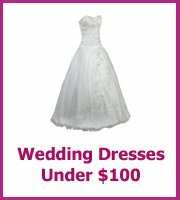 Autumn wedding reception ideas are full of the rich warm colors; reds, oranges, magenta, purple, brown and burnt sienna. 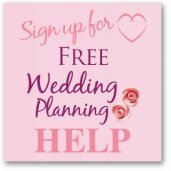 Though summer is still the most popular time for weddings, opting for an autumn wedding is a great idea. Fall is an off-season squeezed between summer and the Christmas holidays. For this reason, you are more likely to find great bargains during the warmly-colored yet nippy weather months of September, October and November, plus the colors are great. Autumn colors do not need to be in everything to do with your wedding but you can definitely make use of all these wonderful colors of fall. You can soften up the color palette a bit by adding lime green and a pink. Autumn wedding reception ideas are all about the changing colors of foliage. You need not decorate the ceilings and walls extravagantly. 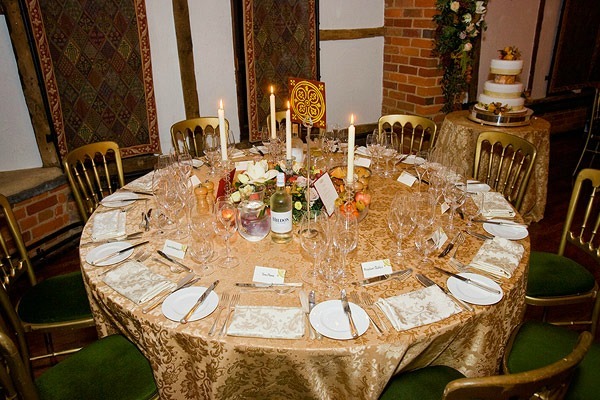 You can always focus on the tables' centerpieces to convey an autumn ambiance of the hall. Layering is a way for your decorations to look great but not cost as much. This does not mean that the centerpiece is actually layered but that the texture, height and colors of the materials used add a visual layer to the whole set up. 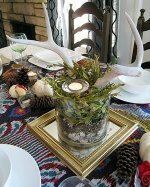 A nice layered centerpiece is a candle in a hurricane lamp. First, source for a textured cream or white plate. Source for another smaller plate of the same design and put it on top of the bigger plate. You can also opt to place a plate with golden edges instead of the plain textured plate. The next layer is a pillar candle holder. Choose a candle holder that could hold a 3-inch or 4-inch by 6 inches yellow-orange or yellow candle. Cover the candle and the holder with a hurricane lamp. Make the textured white or cream colored plate interesting by arranging some ornamental grapes and grape leaves at the base of the hurricane lamp. 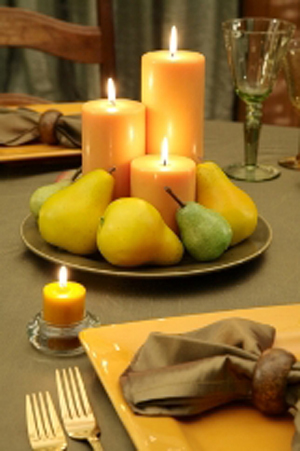 Light the candle up and you will have a perfect no-fuss centerpiece, a great autumn wedding reception idea. Another idea is a Roman urn overflowing with grape clusters and red roses is a great idea for an autumn wedding centerpiece for the reception. You can always choose to go Victorian by painting the urn gold. Buy a canister of gold paint from the local craft store spray-paint the urn. Add clusters of grapes cascading over the urn's rim and some pink roses. If you prefer a more monochromatic look, use silk flowers such as red peonies and hydrangeas and ornamental grapes of varying red/purple shades. Do not over-do your autumn colors. If the table centerpieces are autumnal enough, use an ecru or ivory colored table cloth or you can add a sheer gold material as a table runner. If the centerpiece is not quite colorful, consider an ivory table cloth topped by a smaller orange or brown table cloth. You can even choose to forego the centerpiece and instead place a platter of fresh fruits ready to be eaten by guests. Consider using autumn-themed place cards maybe in the shape of a leaf or berry as a finishing touch. You can even combine a place card with the wedding favor. Just make sure you label each wedding favor with the guests' names. Why not incorporate cinnamon sticks in the centerpieces? You can use pumpkins as decor to light the path to the reception area. Stick some flowers, cinnamon sticks and curled twigs on the pumpkin's skin. Make sure you have a space inside the pumpkin for a tea candle. You can also choose to mark the path with cinnamon brooms. Just add some autumn color curling ribbons to the broom. 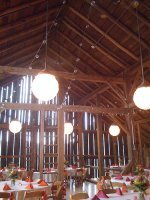 Since an autumn wedding is best during sunset, make sure there are enough candles with hurricane lamps for the path to the reception area. 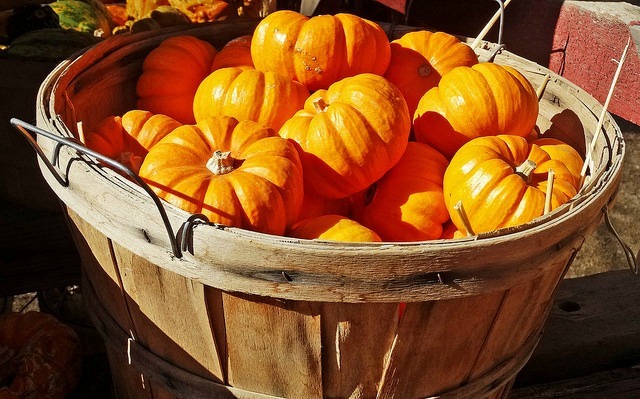 Mums, sunflowers, roses, amaryllis, rust and oranges are some of the rich colors of autumn. Fill up a basket with these flowers add some apples and cinnamon sticks for a rich combination of autumn scent and colors. Arrange the baskets near the entrance of the reception hall and set some near the main buffet table and bar. If there is a stage, decorate it with the same burst of colors and scent. Autumn wedding reception ideas can save you money if you are super organized; one couple collected hundreds of autumn leaves the year before and pressed them to decorate their fall wedding invitations and programs. Pine cones can also be collected the year before to add to your fall centerpieces and if you are being really thrifty then look at the sales after Halloween and fall the year before to pick up some beautiful decorations at probably half the price you will pay the next year!